The weekend may be over, but the glamour never stops! Today we got looks from some Fashion Bomb Daily favorites, as well as the start of the Trumpet Awards. To keep up to date with the latest be sure to check out our Instagram page @FashionBombDaily and hit that follow button. In the meantime, let’s take a look at the best looks of today. Gabrielle Union rocks the snakeskin trend in a tri-color python jaquard suit by Dzojchen. Hot or hmm? Miss Jackson looks stunning in a $195 black House of CB dress. Would you wear it? 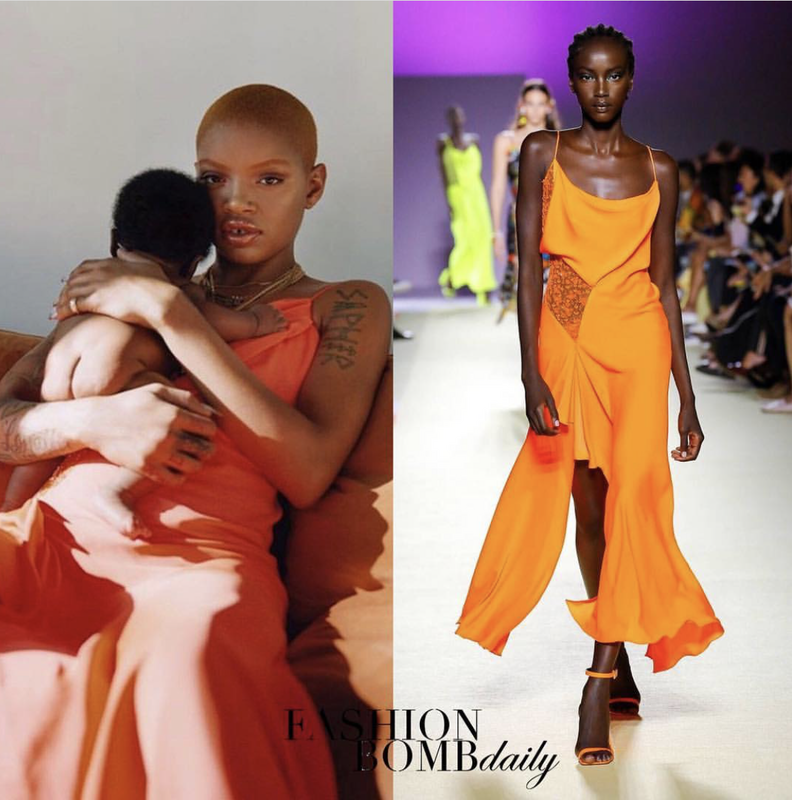 Slick Woods poses with her beautiful baby boy Saphir in Versace, for Vouge. Cute!! Ashanti kicks off the Trumpet Awards in a customer bodysuit and skirt by Michael Costello, topped off with a gold strappy pair of Guiseppe Zanotti heeled sandals. Lil Mama has been killin’ the fashion game recently. She also was in attendance at the Trumpet awards, she wore a pink gown by The Ivy Showroom. Which look is your favorite? Would you wear any of them? Let us know in the comments below.